Biography* � John James Miller was known as "Curn." There is some question about the death date of John James Miller. On p. 123 of the Cemeteries of Clay County, Alabama the date of death from the tombstone is recorded as "17 Jul 1917." In a 19 Sep 1978 letter, James B. Miller, Jr., a grandson notes the death date as 17 Jul 1919. A granddaughter, Mrs. Gertrude Miller Ward, in a 9 Jan 1979 letter, records the death date as "Jul 7-1919." Mrs. Gertrude Miller Ward wrote in a 9 Jan 1979 letter that her Uncle, Grady Pearson, "says Grand Daddy [John James Miller] was a wonderful person." Mrs. Ward continued: I don't know too much about Grand Dad Miller. Grandmother used to call him "Kerin" and I remember he went to war. He fought in the Civil War, he was gone for some time. [I] don't remember how many children she [Nancy Louise Dean] had but she had a hard time. They both were swell people. When we left there [the J. M. Miller family left Mellow Valley, AL to go to Mart, TX] in 1912, he [John James Miller] had a store near the house. Biography* � The 1850 census, which was closest to Martha's birth, and the 1880 census gave Martha's place of birth as Alabama. The 1860 census gives her place of birth as Georgia. Beat 11 p 385 No. 168 (Martha 8 AL in hh of John W Dean). Photographed* May 1902� She was photographed in May 1902 at Anson, Jones Co., Texas, at age 56. Declaration for Widow's Pension Act of May 1, 1920. Route 1, Merkel, Texas (Claimant's address)." Justice Precinct 4, Jones, Texas; Roll: T623 1650; Page: 1A; Enumeration District: 101. E-mail written 9 Sep 2005 to Eoff Family Genealogy Forum on Genforum from Shirley M. Eoff, e-mail address. Photographed* May 1902� He was photographed in May 1902 at Anson, Jones Co., Texas. 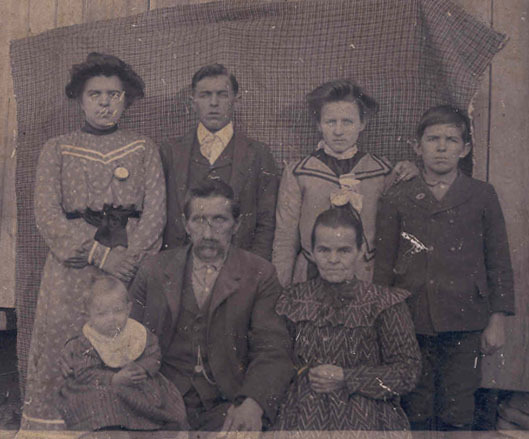 Photographed* say 1910� He appeared as a husband in a family photograph say 1910 at Clay Co., Alabama. Beat 11 p 385 No. 168 (Wesly 2 AL in hh of John W Dean). Beat 11 p 7 (Aliene 23 AL GA GA in hh of Wesley Dean). Find A Grave Memorial# 35524729. Photographed* say 1910� She appeared as a wife in a family photograph say 1910 at Clay Co., Alabama. E-mail written 2004 - from Mary Meyer, e-mail address. 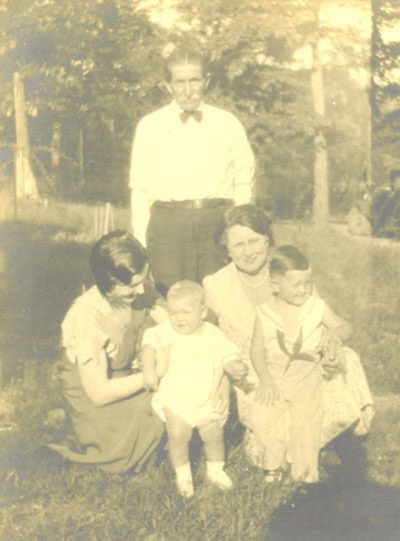 Biography* � A twin of Alsey Thomas Dean died as an infant. No. 130-540 A. T. Dean to S. E. Caloway on August 25 1878 by J. J. Shadix, OM, at residence of bride's father. Bond: A. T. Dean, T. S. Barton and E. W. Caloway. Coppermine, Clay, Alabama, Source: FHL Film 1254007 National Archives Film T9-0007 Page 18A. Biography* � From Donna Cuzze: Lacy was only six years old when her father died in the Civil War. After her marriage to Alsey T. Dean, Lacy was in for more disappointment when one of her twins died at only two years old in 1875. Mrs. Bessie Dean Jones wrote in a 13 May 1981 letter of the death of Lacy Hudson Dean: When Viola [Lacy and Alsey Thomas Dean's daughter] was about 2 years, she and her mother went to the field to pick some beans. They found a small watermelon-sat down under a tree to eat some. A limb fell on the Mother who then crawled to the spring. When they didn't return home the family began to search, found Viola and when questioned she replied "She gone to sp'ing." They found Lacy beside the spring, dead. Lacy is buried in an unmarked grave in the plot with A.T. Dean, Mrs. A.T. Dean, and Mat Dean. P 826 No. 1402 (Arena C 5 AL in hh of John W Dean). No. 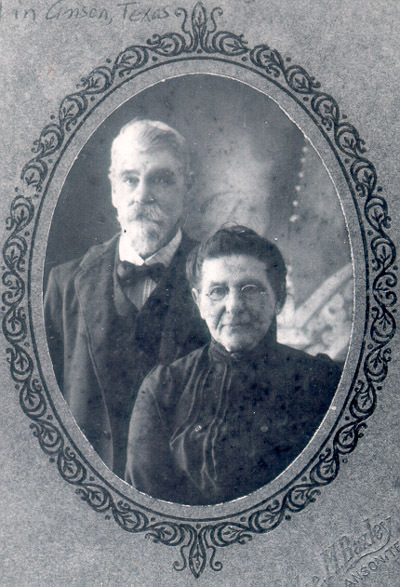 486 Jacob W. Hamblin to Irene Dean on February 6 1881, by L. E. Cofield, MG. 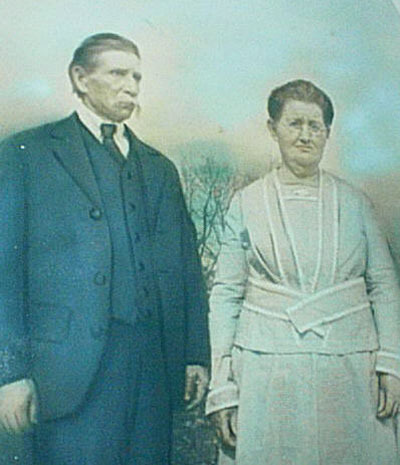 Bond: Jacob W. Hamlin and Jas. R. Callaway. Militia District 1093, Webster, Georgia; Roll: 390; Page: 6B; Enumeration District: 7; Image: 584.0. FHL Film 1254007 National Archives Film T9-0007 Page 106C, in household of Charles J. and Sarah J. Rasco.